The nddata package provides classes to represent images and other gridded data, some essential functions for manipulating images, and the infrastructure for package developers who wish to include support for the image classes. The primary purpose of NDData is to act as a container for data, metadata, and other related information like a mask. The representation only displays the data; the other attributes need to be accessed directly, for example ndd.mask to access the mask. a read and write method to access astropy’s unified file io interface. simple arithmetics like addition, subtraction, division and multiplication. Because these operations have a wide range of options these are not available using arithmetic operators like +. For many applications it may be more convenient to use Cutout2D, described in image_utilities. Note the unit is stored in the BUNIT keyword in the header on saving, and is read from the header if it is present. For more details, including constructing a cutout from world coordinates and the options for handling cutouts that go beyond the bounds of the original image, see 2D Cutout Images. By default, both block_reduce and block_replicate conserve flux. NDDataRef can be sliced and has methods for basic arithmetic operations, but the user needs to use one of the uncertainty classes to define an uncertainty. See NDDataRef for more detail. Most of its properties must be set when the object is created because they are not mutable. NDDataArray extends NDDataRef by adding the methods necessary to all it to behave like a numpy array in expressions and adds setters for several properties. It lacks the ability to automatically recognize and read data from FITS files and does not attempt to automatically set the WCS property. CCDData extends NDDataArray by setting up a default uncertainty class, sets up straightforward read/write to FITS files, automatically sets up a WCS property. There are two additional classes in the nddata package that are of interest primarily to people that either need a custom image class that goes beyond the classes discussed so far or who are working with gridded data that is not an image. NDData is a container class for holding general gridded data. It includes a handful of basic attributes, but no slicing or arithmetic. More information about this class is in NDData. NDDataBase is an abstract base class that developers of new gridded data classes can subclass to declare that the new class follows the NDData interface. More details are in Subclassing. The list of packages below that use the nddata framework is intended to be useful to either people writing their own image classes or for those looking for an image class that goes beyond what CCDData does. The SunPy project uses NDData as the foundation for its Map classes. The class NDDataRef is used in specutils as the basis for Spectrum1D, which adds several methods useful for spectra. The package ndmapper, which makes it easy to build reduction pipelines for optical data, uses NDDataArray as its image object. The package ccdproc uses the CCDData class throughout for implementing optical/IR image reduction. Utility functions for handling bit masks and mask arrays. Using the uncertainty class VarianceUncertainty will be somewhat more efficient than the other two uncertainty classes, InverseVariance and StdDevUncertainty. The latter two are converted to variance for the purposes of error propagation and then converted from variance back to the original uncertainty type. The performance difference should be small. 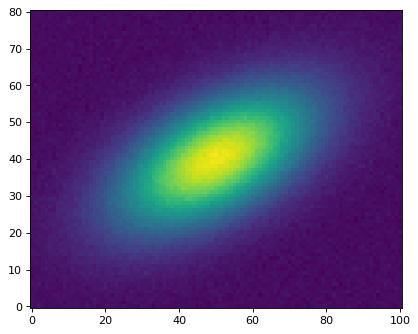 When possible, mask values by setting them to np.nan and use the Numpy functions and methods that automatically exclude np.nan, like np.nanmedian and np.nanstd. That will typically be much faster than using numpy.ma.MaskedArray. The astropy.nddata subpackage provides the NDData class and related tools to manage n-dimensional array-based data (e.g. 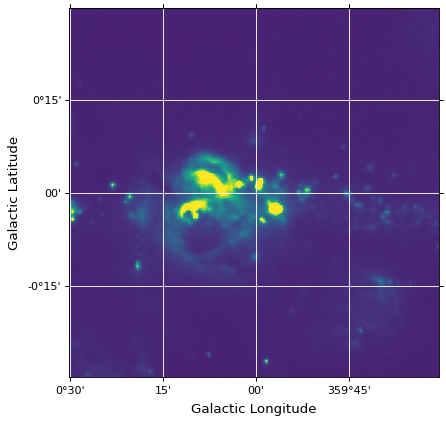 CCD images, IFU Data, grid-based simulation data, …). This is more than just numpy.ndarray objects, because it provides metadata that cannot be easily provided by a single array. Add a smaller array at a given position in a larger array. Converts an array of bit fields to a boolean (or integer) mask array according to a bit mask constructed from the supplied bit flags (see ignore_flags parameter). Extract a smaller array of the given shape and position from a larger array. Generate a CCDData object from a FITS file. Write CCDData object to FITS file. Converts input bit flags to a single integer value (bit mask) or None. Get slices for the overlapping part of a small and a large array. Convert decimal points to indices, given a subsampling factor. Decorator to wrap functions that could accept an NDData instance with its properties passed as function arguments. A class describing basic CCD data. Create a cutout object from a 2D array. The purpose of this class is to provide a dictionary for containing arrays of flags for the NDData class. This exception should be used to indicate cases in which uncertainties with two different classes can not be propagated. This exception should be used to indicate that an uncertainty instance has not been associated with a parent NDData object. Mixin class to add arithmetic to an NDData object. A container for numpy.ndarray-based datasets, using the NDDataBase interface. An NDData object with arithmetic. Base metaclass that defines the interface for N-dimensional datasets with associated meta information used in astropy. Implements NDData with all Mixins. Mixin class to connect NDData to the astropy input/output registry. Mixin to provide slicing on objects using the NDData interface. This is the metaclass for uncertainty classes used with NDData. Raised when determining the overlap of non-overlapping arrays. Raised when arrays only partially overlap. Standard deviation uncertainty assuming first order gaussian error propagation. This class implements any unknown uncertainty type. Variance uncertainty assuming first order Gaussian error propagation. A module that provides functions for manipulating bit masks and data quality (DQ) arrays. This module includes helper functions for array operations.